On Friday 22nd March, the Year 13 Biology students spent the day at the Oroua river in Feilding, for an ecology field trip which forms part of their NCEA Level 3 assessment programme. 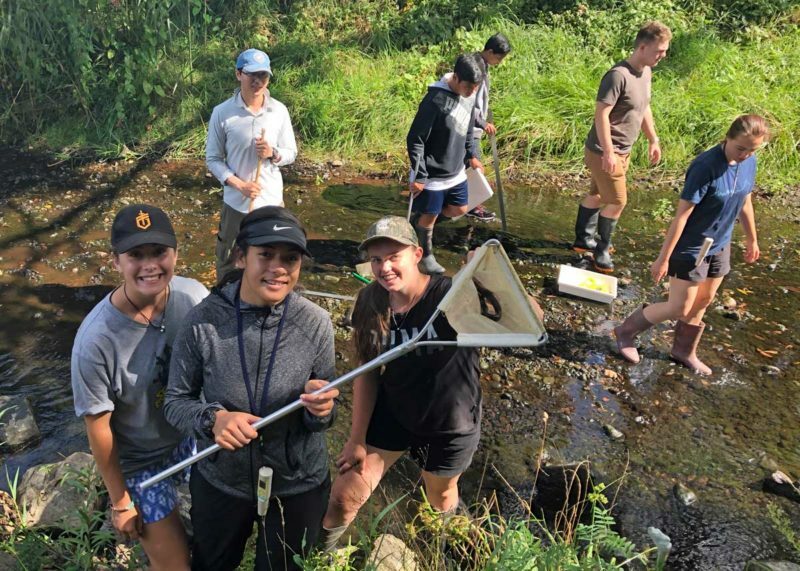 The students worked hard all day collecting data on the macro-invertebrate (insect larvae, water boatmen, leaches, snails) life in the micro-habitats of the river bed. It’s always good to get out of the lab and do real data collecting activities, and what could be better on a beautiful summer’s day than to explore NZ’s natural environment? We all really enjoyed the day and finished off with ice cream from Feilding’s ice cream parlour!